Developed at the KB Khimavtomatiki, KBKhA, design bureau in the city of Voronezh, the RD-0212 engine propels the third stage of the Proton rocket. General design of the RD-0212 engine. RD-0212 (also known as 8D49) is a multi-engine propulsion system, which includes the main engine, designated RD-0213 (a.k.a. 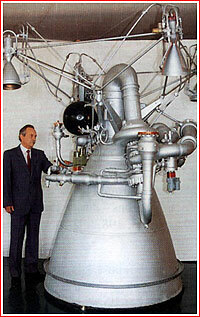 8D48), and a four-chamber steering thruster known as RD-0214. Both burn a highly toxic mix of unsymmetrical hydrazine fuel and nitrogen tetroxide oxidizer. The main advantage of this propellant is the possibility to store it in liquid form at normal temperatures, without any need for cryogenic equipment. 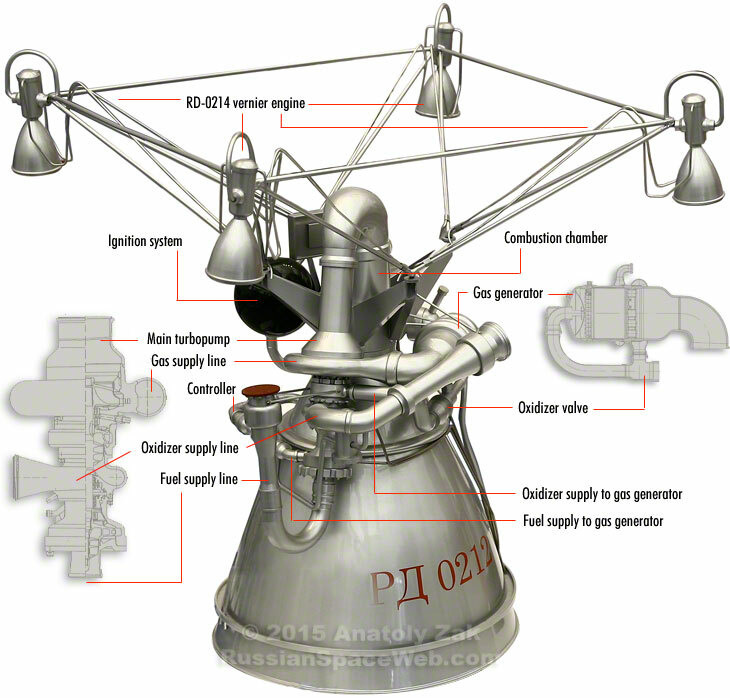 The main RD-0213 engine closely resembles the RD-0210 and RD-0211 engines on Proton's second stage. All three propulsion systems are powered by a turbopump and belong to the so-called closed-cycle engines. It means that after driving the turbopump, which forces fuel into the combustion chamber, the hot oxidizer gas is also directed back into the combustion chamber to increase the engine's thrust. Designed for a single 250-second burn during the mission, the RD-0213 has the capability to vary its thrust with the help of a special controller installed in the fuel gas generator. A special throttle on the fuel line ensures equal expenditure of fuel and oxidizer from the rocket's tanks. Pyrotechnic devices are used to start the engine in flight. RD-0212 engines (background) and RD-0214 steering engines during production at Voronezh Mechanical Plant in 2016. Unlike, the RD-0213, the RD-0214 engine features an open-cycle design. It has a single turbopump, a pair of gas generators, a control system and a pyrotechnic activation system. Each chamber on RD-0214 can rotate up to 45 degrees with the help of an electric motor under commands of the flight control system to steer the rocket in flight. The steering engine also carries pressurization hardware for the propellant tanks of the third stage. The RD-0214 steering engine is based on the similar RD-0207 engine, which steered the second stage of the UR-200 missile in flight. To move the RD-0207 from the second stage of UR-200 to the larger third stage of Proton, engineers had to extend the feed lines for all four thrusters. They also adjusted the pressurization system and installed improved ignition valves, which became available by that time. Otherwise, the design of the engine remained mostly unchanged. 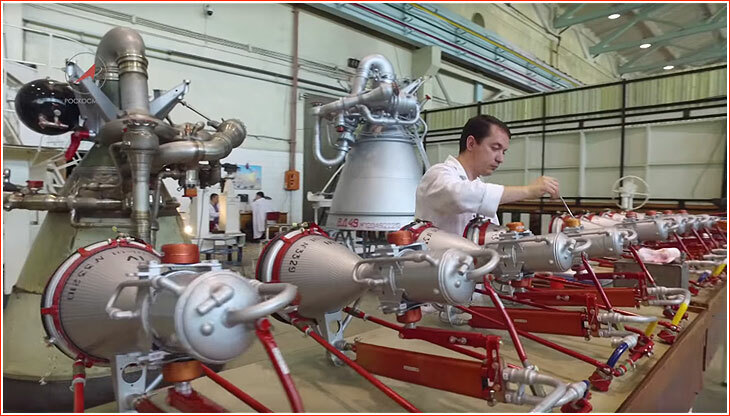 Developed at KBKhA design bureau under leadership of Yankel Gershkovich, the propulsion system for the third stage of the Proton rocket was based on the heritage of the ill-fated UR-200 rocket. 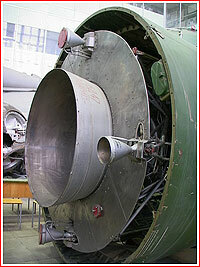 It was based on the RD-0205 engine, which propelled the second stage of the UR-200. Thus, the most serious technical challenges of the design were resolved in the course of the RD-0205 development, which started in March 1961. It would be only the second operational Soviet closed-cycle engine, coming in the footsteps of a kerosene-burning propulsion system developed at Sergei Korolev's OKB-1 bureau. 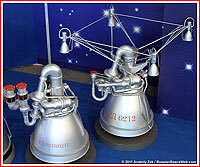 When the development of engines for the Proton rocket started in 1962, the RD-0205 from UR-200 became the basis for three engines on Proton: RD-0210 and RD-0211 on the second stage and RD-0212 on the third stage. Ignition valves moved toward the entrances into the pumps in order to reduce hydraulic shock in propellant lines and in low-pressure areas of the engine. 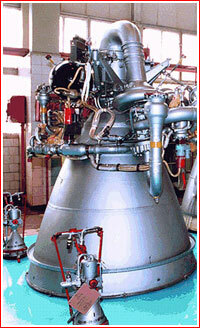 Ground testing of the RD-0212 engine was conducted at KBKhA's vertical bench stand, which was built in 1963. 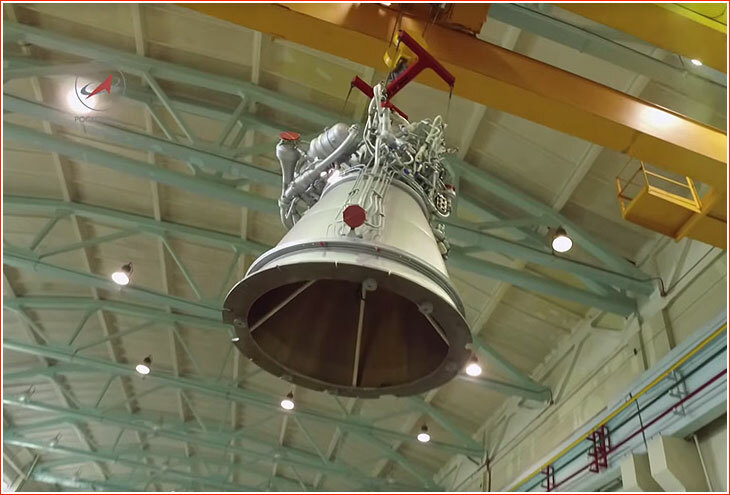 The so-called experimental and final tune-up tests, or ZDI, of the engines were completed by the end of 1966 and in October and November of the same year, the engines fired as part of the bench tests of a fully assembled third stage. 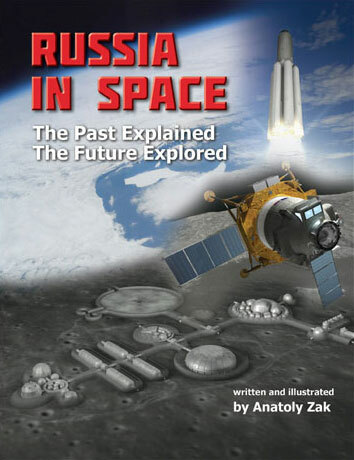 In March 1967, they first flew on the Proton rocket. The introduction of destructive tests on a number of components during sampling tests in the engine batches. Testing of the engine for leaks with a mixture of air and helium. In addition, tougher testing procedures now included live firing of one RD-0212 engine out of each batch of three engines, instead of one of five previously. The final tune-up test, ZDIs, for the Variant P engines started in April 1967 and inter-agency certification tests, MVI, were completed in August of the same year. The serial production of the engines was initiated at the Voronezh Mechanical Plant, VMZ, where it continues until this day. A team of engineers led by Yu. 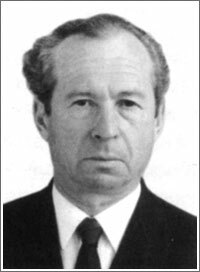 D. Gorokhov took the job of supervising the serial production of the engine, as well as continuous bench tests and actual flight use of the engines. The RD-0212 was formally declared operational only in 1978. By 1990s, KBKhA had conducted more than 600 live firings of the engine. As of July 1997, its reliability was estimated at 0.99469. However improvement to RD-0212 continued, often in the wake of problems experienced by its close cousins on Proton's second stage, which was a source of several failures, including two botched launches in 1999. However, three more failures of the third stage propulsion system took place: on January 18, 1988, on May 16, 2014, and, exactly a year later, on May 16, 2015. Only the latter accident enabled to finally establish that the route cause of all three failures was the imbalance of the rotor shaft in the turbopump of the RD-0214 engine, according to Roskosmos officials. A new round of upgrades was prescribed as a solution.